Protecting your identity now a days seems like its becoming more difficult. More technology sometimes means more trouble, as much as we love it we also hate it! 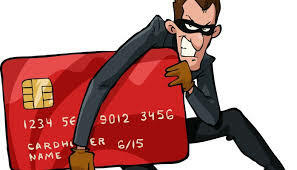 There are many ways identity theft can happen: I am going to share some tips on being careful and how to avoid it as much as possible. ONLINE: When using a computer make sure you are using secure passwords and changing them often/regularly. Not giving out personal information on unsecure websites is another way to getting your information stolen. When a website has “https” in the address or a padlock symbol next to the address field means it is secure. Using firewall, virus and spyware protection on your computer and keeping it updated to ensure hackers have no entrance. Also beware of getting help from tech support for any computer problems. They may say your computer is sending out viruses, and that they must clean it or you’ll be in trouble, so they start asking personal questions and trying to getting money out of you, HANG UP, its just another scam. Always checking on your bank accounts, credit card statements. Having online access so you can check daily doesn’t hurt! Even monitoring your cellphone accounts, fraudulent charges are also showing up there! I would not suggest carrying your social security card around, keeping it in a safe place would be best. Making sure you destroy old mail that has your name and address on it, maybe investing in a shredder ALSO good for getting rid of any old credit cards! Making sure to keep your smart phones locked! They’re a dream to someone who is trying to steal your identity. Your email, social media accounts and other apps with your personal information on there. If it turns out that you have been a victim of identity theft or you suspect you are, ACT ASAP. You should place a security freeze, put an initial fraud alert on your credit report immediately. It’s fast, free, and stays in place for 90 days and also gives you additional legal protection. You can initiate a freeze online directly with one of the credit bureaus; for fraud alerts. You only need to inform one which will pass the request on to the other two. – Contact the Federal Trade Commission (FTC) to report the fraud. Contacting your local post office if you think there was a fraudulent change on your address. Contact the Social Security Administration at (800) 269-0271 if you suspect that your social security number is being improperly used. Contacting your bank making sure your accounts are on hold and last but not least don’t forget to contact your local police department.